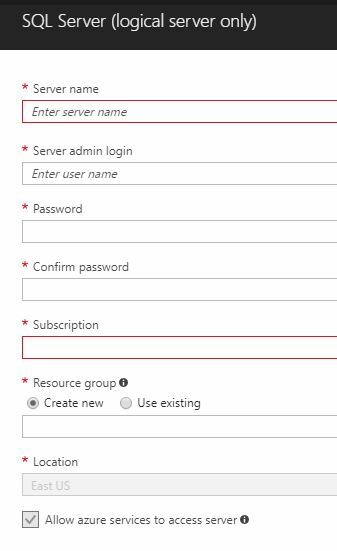 Next, we need to put the name of the server, as well as server admin login account for this Azure Logical SQL Server. After that, we can create a new one or to use existing resource group. 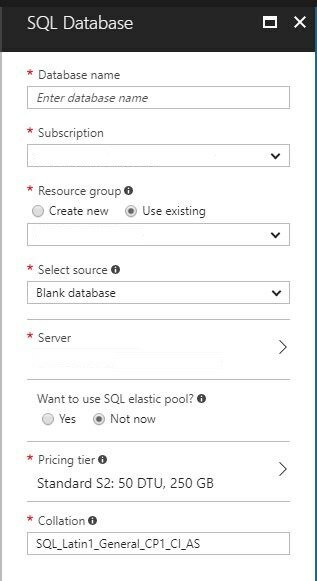 When we finish this part of configuration we can start with creating Azure SQL Server Database. Than we need to choose previously created SQL Server or to create new one if we want. That is all, now we have our SQL Server and blank SQL Database created. Next step is to connect to our database using SSMS.